Christine is a Holistic Bodywork Therapist. 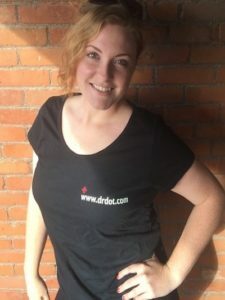 She utilizes a variety of massage and bodywork techniques to achieve your desired result of relaxation, pain-relief, injury rehabilitation, etc. Some of the techniques she incorporates are Swedish, Deep Tissue, Myofascial Release, Trigger Point Therapy, Neuromuscular Therapy, Thai Yoga Therapy, Muscle Energy Techniques, Reiki Energy Healing, and Guided visualization meditations. She also uses customized formulations of herbs and essential oils as well as hot and cold therapies in her sessions. Christine lives in beautiful Southwest Montana where she has 2 beautiful children and one crazy puppy. She is occasionally available for travel for established clients. Hi, my name is Darby. 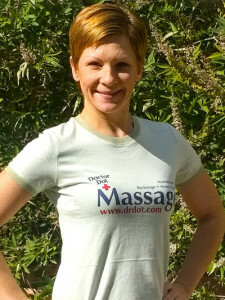 I have been a massage therapist since 1998. I went to massage school in Seattle and Las Vegas, and have taken many continuing education classes which keeps me excited about what I do. I worked with a chiropractor for almost 4 years where I gained a lot of experience working with different injuries. I am now an independent contractor, and specialize in deep tissue massage. I also do Swedish, Thai Yoga, Aromatherapy, and Cupping. I believe that massage and bodywork is an important part of health maintenance and well being! I am available for incall(at my office), outcall, and chair events.